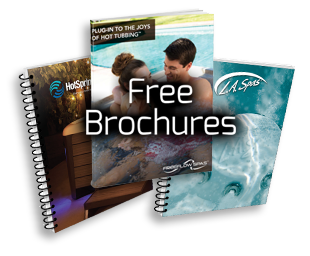 Watkins Manufacturing Corporation (“Watkins”) warrants to the original consumer purchaser (“you”) the following about your new Highlife Collection Hot Spring spa, when purchased from an authorized dealer/service provider (“dealer”). Watkins warrants the electrical components, pumps, Moto-Massage jets, air valves, levers, bezels and other HOT SPRING spa components against defects in materials and workmanship for five years. Some parts, most of which can be changed out without the use of tools, such as filter cartridges, filter lid, spa pillows and cover locks, are not included in this warranty, but are warranted to be free from defects in materials and workmanship at the time of delivery. Spa covers and other spa accessories are specifically excluded from this warranty, although they may be covered by other warranties. Please check with your HOT SPRING dealer for details. Watkins warrants the LED light assemblies, which consists of all lights within the spa, including the underwater and bar top lighting, to be free from defects in materials and workmanship for two years. Watkins Manufacturing Corporation (“Watkins”) warrants to the original consumer purchaser (“you”) the following about your new Limelight Collection Hot Spring spa, when purchased from an authorized dealer/service provider (“dealer”). Watkins warrants the electrical components, pumps, Moto-Massage jets, air valves, levers, bezels and other HOT SPRING spa components against defects in materials and workmanship for five years. Some parts, most of which can be changed out without the use of tools, such as filter cartridges, filter lid, hot tub pillows and cover locks, are not included in this warranty, but are warranted to be free from defects in materials and workmanship at the time of delivery. Spa covers and other hot tub accessories are specifically excluded from this warranty, although they may be covered by other warranties. Please check with your Hot Spring dealer for details. Watkins warrants the electrical components, pump(s), Moto-Massage jet, and other Hot Spot spa components against defects in materials and workmanship for two years. Some parts, most of which can be changed out without the use of tools, such as filter cartridges, filter lid, spa pillows, and cover locks, are not included in this warranty, but are warranted to be free from defects in materials and workmanship at the time of delivery. Spa covers and other spa accessories are specifically excluded from this warranty, although they may be covered by other warranties. Please check with your Hot Spot dealer for details. Watkins warrants the structure of the spa, which is defined as any rotationally molded, polyethylene internal support structures connecting the unibody shell, cabinet, floor and the external coping to itself, for five years from the delivery date of the spa. This limited structural warranty specifically excludes any portion of the hot tub that is not rotationally molded as part of the unibody shell such as jets, doors, covers, etc. period of five years from the delivery date of the spa. Any and all additional costs including, shipping, delivery, set-up, installation and/ or disposal charges will be the sole responsibility of the hot tub owner. Watkins warrants the electrical and mechanical components including the pump, heater, LED lighting and control system against malfunctions in materials or workmanship for a period of one year from the delivery date of the spa. Filter cartridges, light bulbs, hot tub cover, cover locks, fuses and GFCI cord are not included in this warranty. Those items are, however, warranted to be free from defects in materials and workmanship at the time of delivery to the consumer. Blue Hawaiian Fiberglass Pools is proud of its national recognition for its attention to detail, its use of the finest materials, its composite technology in production and its staff of dedicated craftspeople. This all adds up to long-term durability enabling us to offer a limited lifetime warranty on the structure and surface of the pool. Note: the Blue Hawaiian Pools warranty has changed over the years. Your warranty is indicative of the warranty you were originally given at the time of your pool purchase.